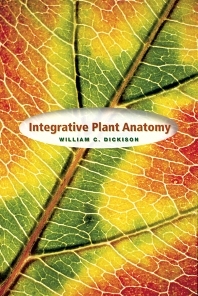 From this modern and profusely illustrated book, the reader will learn not just the basics, which are amply reviewed, but also how plant anatomy is integrated with a wide variety of other disciplines, such as plant breeding, forensic analysis, medicine, food science, wood and fiber products, and the arts. The author presents the basic concepts and terminology of plant anatomy with a special emphasis on its significance and applications to other disciplines, and addresses the central role of anatomy by consolidating previously scattered information into a single volume. Integrative Plant Anatomy highlights the important contribution made by studying anatomy to the solutions of a number of present and future problems. It succeeds in integrating diverse areas of botany, as well as the non-biological sciences, the arts, and numerous other fields of human endeavor. Copyright © 2001 Harcourt/Academic Press All rights reserved. THIS MATERIAL may not be used, directly or indirectly, for any paid service, such as document delivery, interlibrary loan, or any other systematic supply or distribution of material. Copyright and other notices or disclaimers may not be removed, modified or obscured. Harcourt/Academic Press or Harcourt General, Inc. reserve the right to withdraw on-line access to this content without notice at any time. William C. Dickison is professor of biology at the University of North Carolina at Chapel Hill. He is the author of numerous articles on plant anatomy that have been published in journals ranging from the Botanical Journal of the Linnean Society and the American Journal of Botany toSystematic Botany and the Botanical Gazette. With Richard A. White, he coedited Contemporary Problems in Plant Anatomy, which was published by Academic Press in 1984.